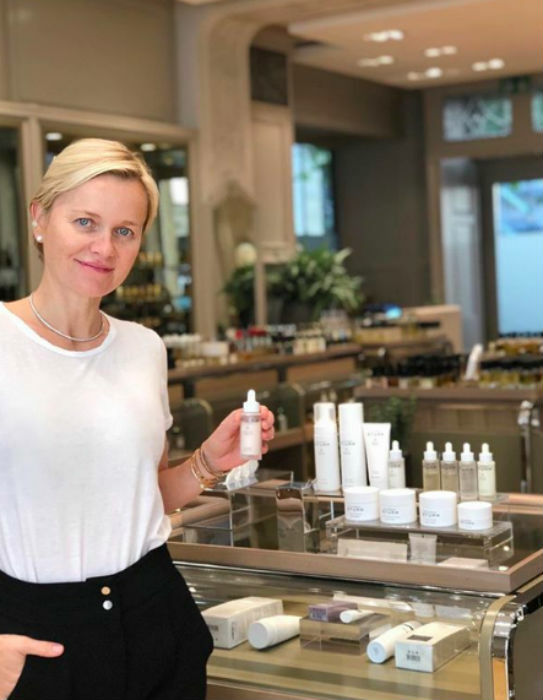 Skincare expert and pioneer Dr Barbara Sturm chats to A&E about her career to date and what excites her within the beauty industry right now. 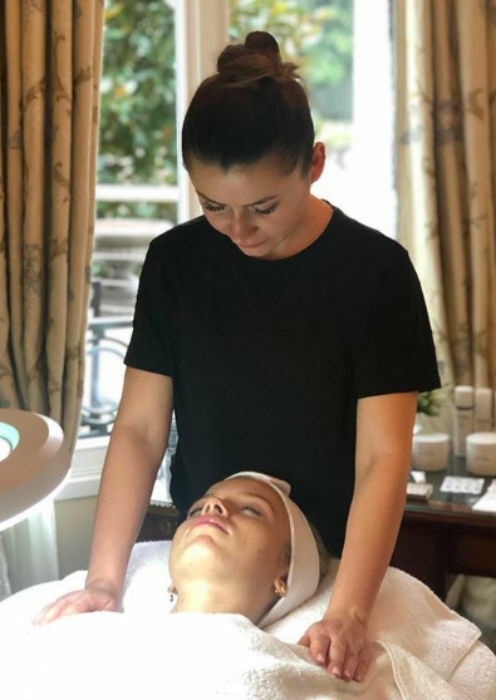 The German skincare specialist – known globally for her popular ‘vampire facial’ adored by celebrities – began her medical career working within anti-inflammatory orthopaedics. But 17 years ago, Dr Barbara Strum moved into the film of aesthetics, a move that would end up making her career. She translated the cutting edge anti-inflammatory practices and research into the aesthetics field. A&E caught up with Dr Sturm as she returned to Dubai to open the second edition of the Spring/Summer Mall of the Emirates Fashion Live and give insight into the unique new product lines designed especially for Middle Eastern skin. What’s your earliest memory within the world of beauty? My mom was a chemist and my grandmother was a pharmacist and their work and influences on me, which I might not have thought of as beauty-related at the time, affected my thinking from an early age about what became my beauty innovations. When someone using my skincare writes or tells me: “I had this or that problem, and you transformed my skin.” That’s the ultimate reward for me. What drives you to keep going when times are tough? Customers and patients. We all have hard jobs; medicine is a helping profession, so the opportunity to help is what I think drives most doctors and certainly it drives me through arduous travel and schedule. But truthfully, it’s more fun than tough. At its simplest, we trick the blood cells into recognizing a wound, prompting them to produce extreme amounts of inflammation inhibiting proteins (IL-1RA) and growth factors. Those proteins are then reinjected in a variety of ways. Anyone experiencing inflammation-induced skin conditions, which is virtually everyone. It is minimally invasive and maximally healing. What within the beauty industry do you say ‘no’ to? Any aggressive treatment of the skin. Examples include harsh lasers and acid skin peels, especially at-home uses which can be particularly damaging. How is the industry in the Middle East different from other regions? And how would you like to see that change, if at all? Well, first Middle Eastern skin, because it has more active melanocytes, has a greater susceptibility to the inflammation cascade. And inflammation is the main culprit in premature ageing along with skin dysfunctions including hyper pigmentation. 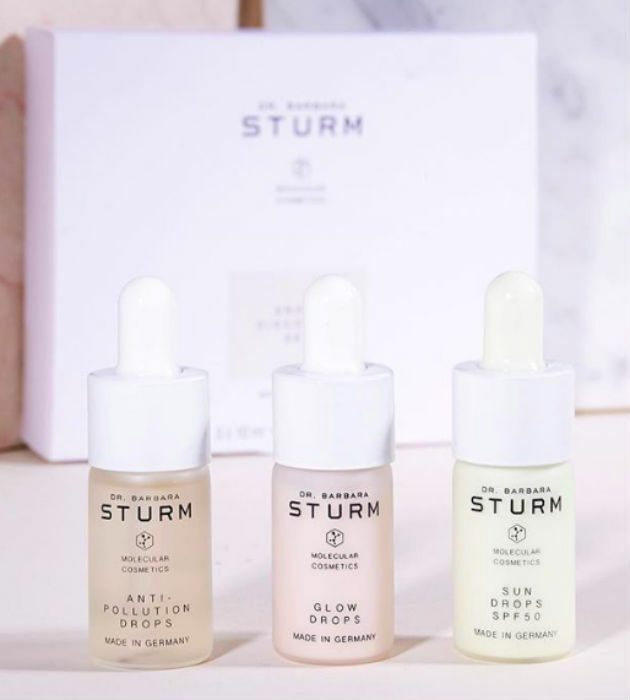 There are virtually no skin care ranges that deploy ingredient science to target these specific issues, although I created my own – Dr. Barbara Sturm Darker Skin Tone range. So I think the Middle East, as a market, requires more education about the science of skin problems and the ingredient science to address it around this particular susceptibility to the inflammation cascade. Demand what your skin needs, not what the skin care industry wants to sell you. The move away from skincare based on marketing and into ingredient science-based products and approaches. The skin care industry had 100 years to make this move and opted not to. So this is driven by increasingly informed and demanding consumers. That makes this an exciting time to be in skin care. And I have new creations coming to satisfy this new insistence on results. Science needs to drive the beauty industry even faster! What is the most interesting thing you’ve learned working with celebrities? A celebrity is someone whose face and appearance is their business. It’s not mere vanity; they are required as part of their work to look their best. Celebrities are generally more experienced, curious and experimental about efficacy than the general public – they are early adopters of what is cutting edge. They are quite sophisticated patients and skin care customers – intensely particular and demanding. So when your products are what they swear by, I confess it is quite a compliment. If you don’t take a risk, you will never accomplish anything. Too many things to list. My mom and grandmother, both of whom have passed away, inspire me as strong women scientists. How do you inspire your customers to feel confident? This question touches my biggest goal. I create products and treatments to help my customers look and feel their best. When we feel confident and comfortable in our skin, we feel confident and comfortable period. “SturmGlow” is all about confidence.